New Delhi: At least 96 cases of chikungunya have been reported in Delhi this year, with 10 of them being recorded this month, even as authorities are gearing up to combat any outbreak situation of the vector-borne diseases. Chief Minister Arvind Kejriwal had recently directed authorities to make a comprehensive plan on it, while civic bodies are keeping a tab on mosquito-breeding, in and out of homes, through regular monitoring. 40 cases of dengue have also been reported till May 27, according to a municipal report released today. Though the season of the vector-borne diseases had ended in December, the city continues to report such cases, prompting authorities to prepare a roadmap for the combat plan. Out of the 96 chikungunya cases, 19 were recorded last month, while 34 were diagnosed in March. 20 cases were detected in January and 13 in February. 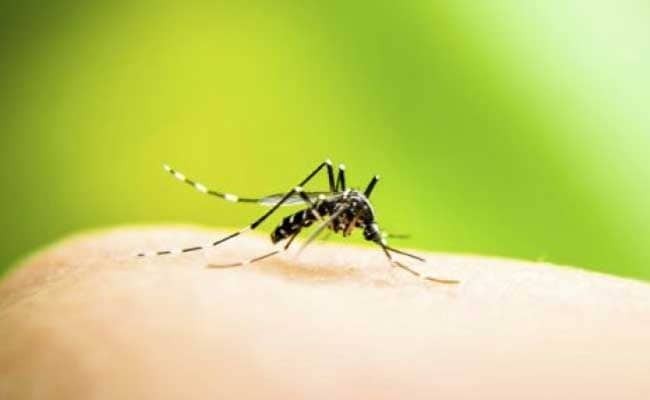 Eight dengue cases have been reported in May, according to the report by the South Delhi Municipal Corporation (SDMC) which tabulates it on behalf of all the civic bodies here. On May 13, Mr Kejriwal had chaired a high-level meeting of officers from the three municipal corporations and the Delhi government to discuss plans to eliminate vector-borne diseases in the national capital. "Delhi will be made mosquito-free. We will have to get rid of mosquito-borne diseases. It will be made a people's movement. It is only possible with people's participation," Mr Kejriwal had tweeted. Lt Governor Anil Baijal had on April 29 directed Delhi government-run LNJP Hospital to keep beds ready for dengue and chikungunya patients in the event of an outbreak of the vector-borne diseases in the city. Chikungunya and dengue cases in the national capital had tapered off by December first week last year ending the vector-borne disease season in the city that witnessed its worst chikungunya outbreak in the last 10 years, but cases are still being registered, prompting authorities to go for early preparedness. The municipal authorities had in early March called an all-hands workshop on the prevention and control of vector- borne diseases to finalise a comprehensive action plan for combating the menace in the coming season. In the workshop, SDMC Commissioner P K Goel had asked officials to "identify the cases of dengue and chikungunya coming to Delhi from other states". The Lt Governor on March 23 had held a review meeting with the three municipal commissioners on preparations for combating vector-borne diseases in the city. In one of the worst outbreak, a total of 12,221 chikungunya cases were reported in Delhi till December 24, 2016 out of which 9,749 were confirmed.